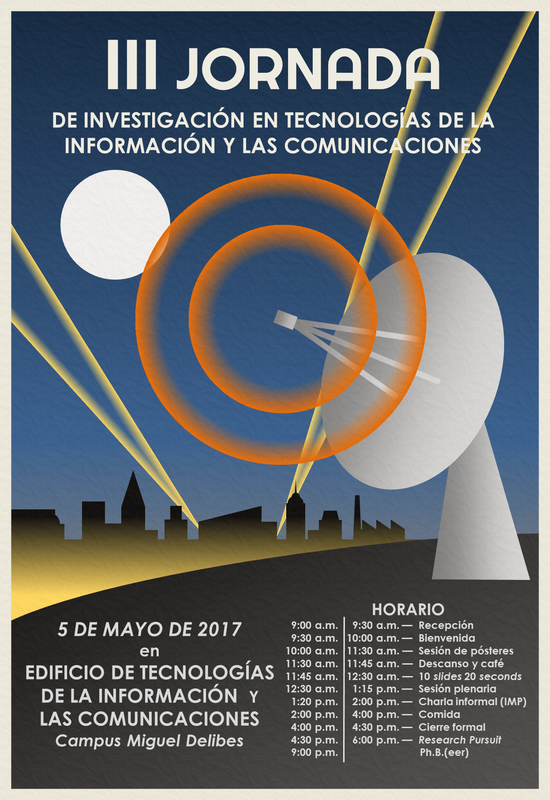 Last May 5th, the III Workshop on Information and Communication Tecnologies organised by the Higher Technical School of Telecommunication Engineering took place. This meeting was organised by and for postgraduate students in the ICT field with the purpose of sharing the advances and milestones achieved during the development of their thesis with other students and thesis directors. 40 people participated in the event and around 20 of them exposed their thesis plans and relevant results in their reseach, either in poster or oral sessions, promoting networking between research groups showing their different methodologies. This meeting ended with a conference about Philosohy and Science Fraud imparted by Prof. Alfredo F. Marcos Martínez.